This painting was inspired by hydro dripping, and was created by pouring multiple colors of fluid acrylic paint on top of each other. 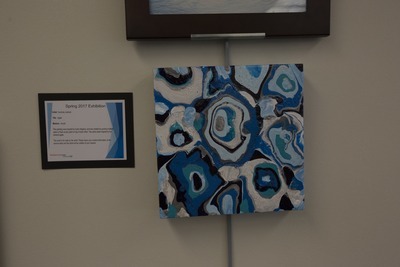 The colors were inspired by the mineral agate. © 2017 Courtney Jackson, All rights reserved.